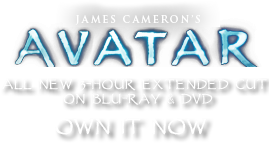 Kuchenium polyphyllum | Pandorapedia: The Official Guide to Pandora | Own AVATAR on Blu-ray & DVD Now! The Spartan is sensitive to touch and exhibits a thigmonastic or movement response when it is disturbed, which makes the leaves much harder for an herbivore to eat. Specialized cells at the point of connection of leaves and stem inflate when full of water, holding the leaves up. When the plant is disturbed the cells quickly lose their water and deflate, causing the leaves to droop. Disturbance of even one leaf triggers the overlapping leaves as well, so that the entire plant appears to collapse. The leaves on the stem fold downward, protecting the stem, while the larger leaves at the top fold upward, protecting the growing tip and flowers. Although somewhat difficult to harvest when they fold, the leaves are edible and very useful as mats and food wraps. Taxonomy Kuchenium polyphyllum. Named for resemblance to a cake (“kuchen”) and for its many (poly-) leaves (-phyllum). Botanical Description Herbaceous plant with thick stem covered in dense layer of leaves pointing downward. Cluster of larger leaves at the top of the plant form a collar that surrounds flowers. Ecology Leaves are sensitive to touch and can fold to protect the plant. Many small animals nest under the dense layer of leaves on the stem.